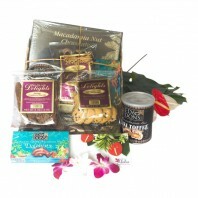 This Hawaiian gift basket is filled with local favorites. 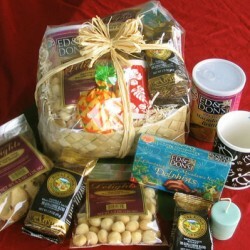 We have included a large box of chocolate covered macadamia nuts. 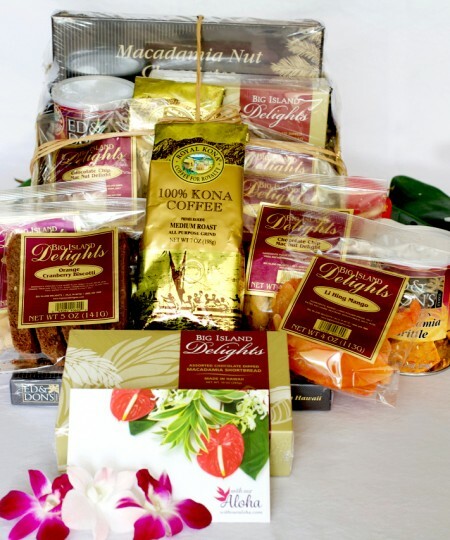 You will also find a package of our lightly salted whole macadamia nuts. There are more mac nuts in our chocolate chip cookies and crispy biscotti. For a different type of treat anyone will enjoy delicious brittle also filled with macadamia nuts. 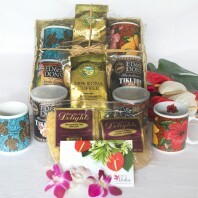 Our coffee addition is 100% Kona coffee in a large seven ounce bag. Li hing mango are chewy slices with a tangy plum spice. 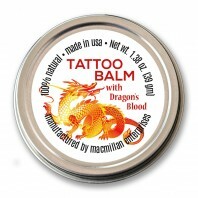 Finally, we have a new product for our gifts. That is a box of mac nut shortbreads dipped in chocolate. 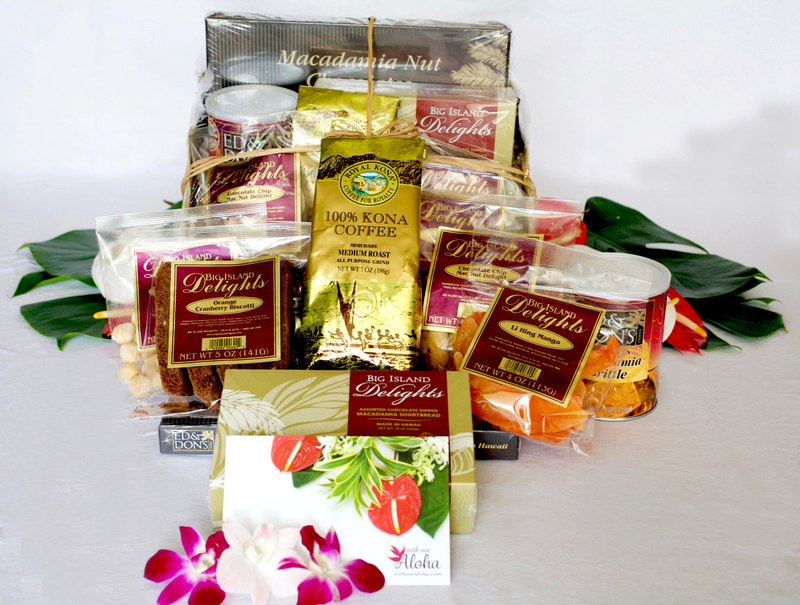 Mac nuts, mangos, coffee and chocolate are all found on the Big Island of Hawaii. 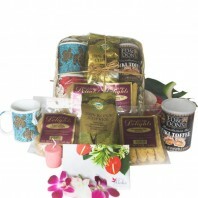 This is a new selection and makes a wonderful gift for a thank you, birthday or at Christmas. 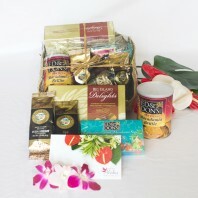 This gift basket is also available for free delivery to Waikiki hotels. Choose a wrapped lauhala basket or Hawaiian print bag.